Personalized 15.25" House Number Sign - - features clear numbers on a clean uncluttered background. Standard size 15.25" x 8"; holds one line of numbers. Made in USA. As featured in June 2018 HGTV Magazine article "copy the curb appeal." The trim border accents the unique shape: somewhat rectangular with a softer ovalish attitude. 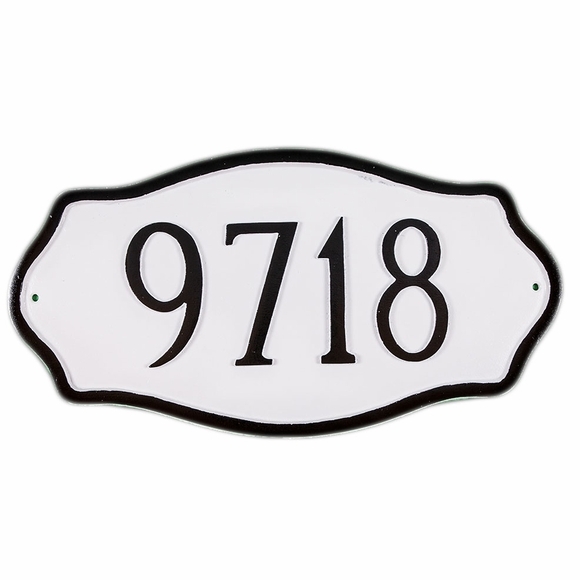 Personalized with your house number and color selection.